In another round of fashion inspiration, let's consider Taylor Tomasi Hill. She's a street style darling with stints at Teen Vogue, Marie Claire and Moda Operandi on her resume. Oh, and there are also rumors out there that she's the muse for Prabal Gurung. What I love about Taylor (besides her gorgeous red locks) is that her style is always changing. One day she's dressed in head-to-toe leather, the next day it's a lady like floral dress. The one constant is that she always looks effortlessly cool. 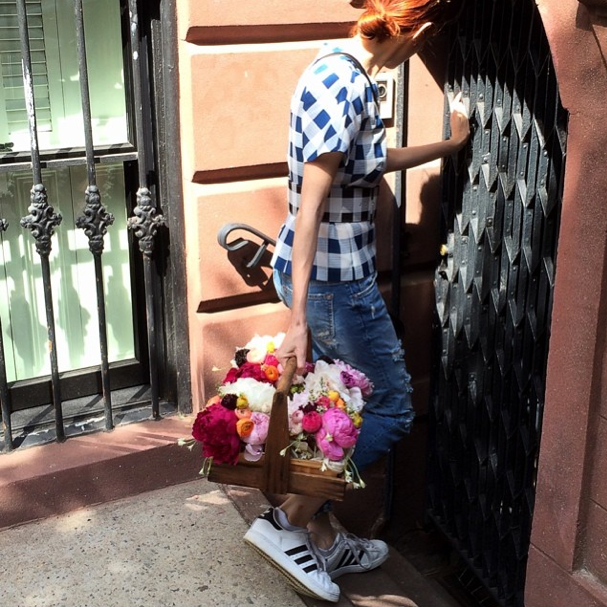 If she wasn't cool enough, Taylor recently opened her own floral delivery service in NYC, TTH Blooms.